Although Albon, by his own admission, was the “worst driver” in Shanghai on Saturday as he destroyed his STR14 in final practice, he recovered on Sunday. He started the 56-lap grand prix from the pit lane and used a one-stop strategy to race his way into the points, P10 at the chequered flag. Such was Albon’s recovery that the Thai driver was named ‘driver of the day’ by Formula 1 fans. And he is now being linked to Gasly’s race seat. 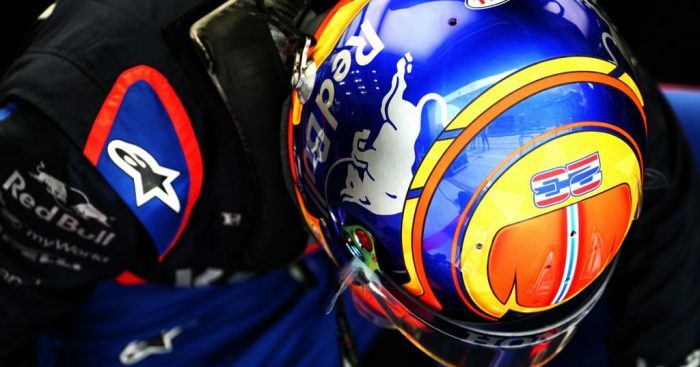 Although the Frenchman bagged his best showing as a Red Bull driver, P6 on Sunday, he was almost a full minute behind his team-mate Max Verstappen. Sky Sports commentator Karun Chandhok believes the writing is on the wall. “The obvious one has to be Albon,” he said of possible replacements for Gasly. “He’s the one at Toro Rosso. “He seems to be outperforming Daniil Kvyat. He had the accident here but he’s so far done such a good job in his rookie season. He’s mature. “For Gasly, it’s still early but if we get to mid-season and they still don’t see the improvements and they still don’t see him starting to outqualify Max, he’s going to be under big pressure. Fellow commentator Johnny Herbert agrees that Gasly’s time is fast running out. “History says that it’s going to change,” he said. However, team boss Christian Horner has once again defended the Frenchman, who this year stepped up to Red Bull Racing after just one season with Toro Rosso. He told De Telegraaf newspaper: “Let me say that people also have to give Pierre a bit of time.